Meet beautiful Blanca Cruz from Comitan, Cris. Mexico. 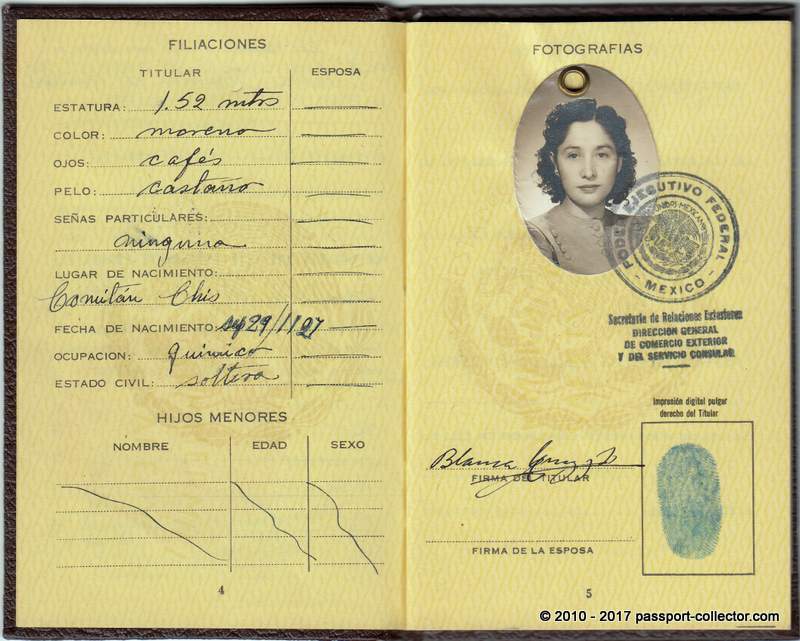 Blanca was born 1907 which makes her 34 years young when her passport was issued in March 1941. 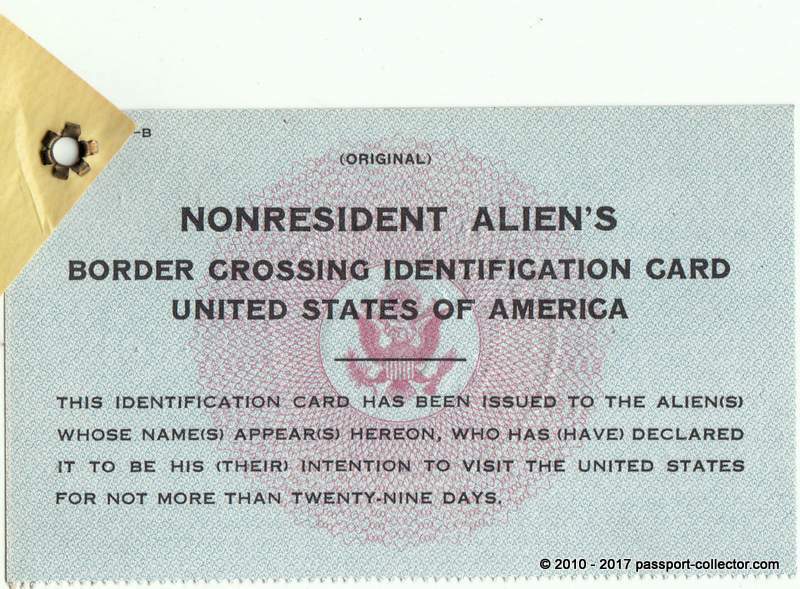 Her passport shows no travels but has a US border crossing identification card attached. 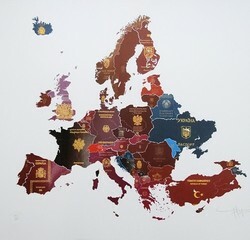 ID card and passport shows her finger print. 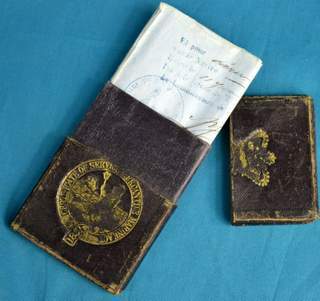 The travel document is 76 year old but looks as made yesterday – almost in mint condition. 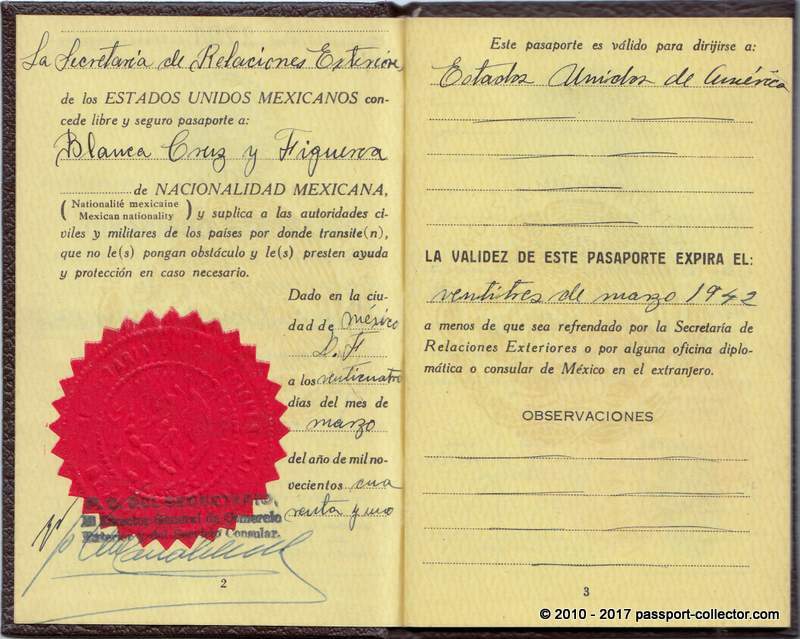 A beautiful example of a Mexican passport, which was issued just a year before WWII was also a topic for Mexico. 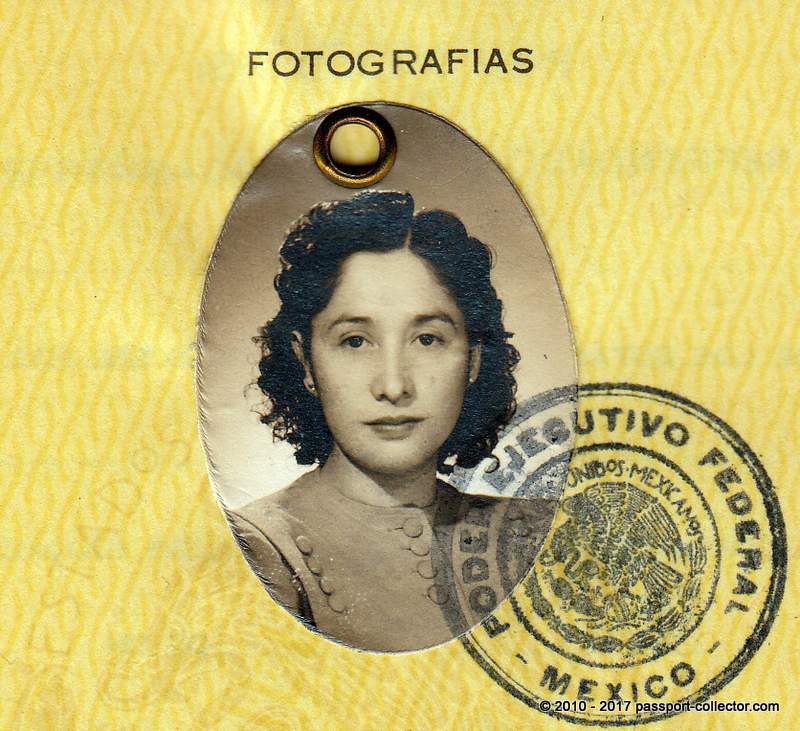 Mexico declared war on the Axis Powers in support of the Allies on May 22, 1942, following losses of oil ships in the Gulf, most notably the Potrero del Llano and the Faja de Oro, to German submarine attacks. 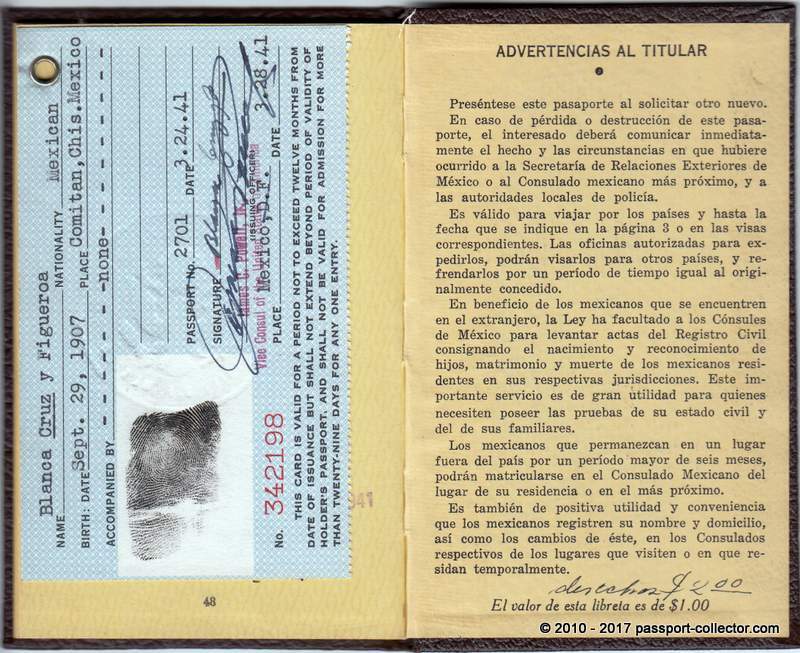 Although most American countries eventually entered the war on the Allies’ side, Mexico and Brazil were the only Latin American nations that sent troops to fight overseas during World War II. 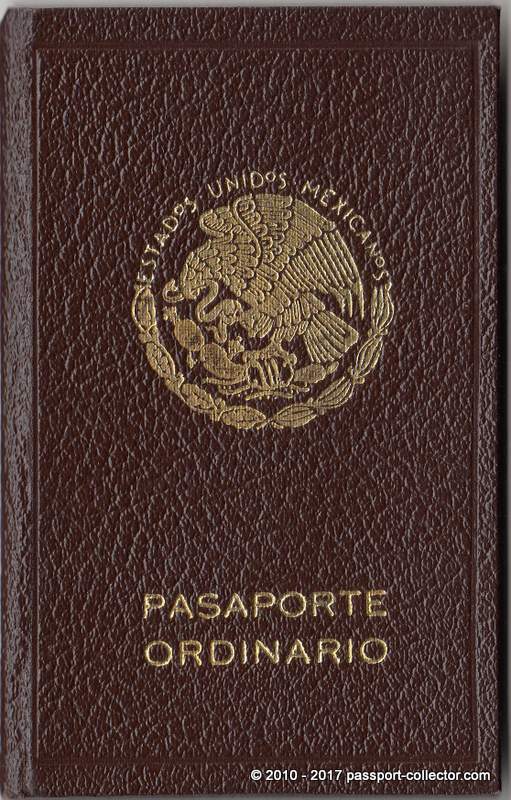 Perhaps the most famous fighting unit in the Mexican military was the Escuadrón 201, also known as the Aztec Eagles. This group consisted of more than 300 volunteers, who trained in the United States to fight against Japan. 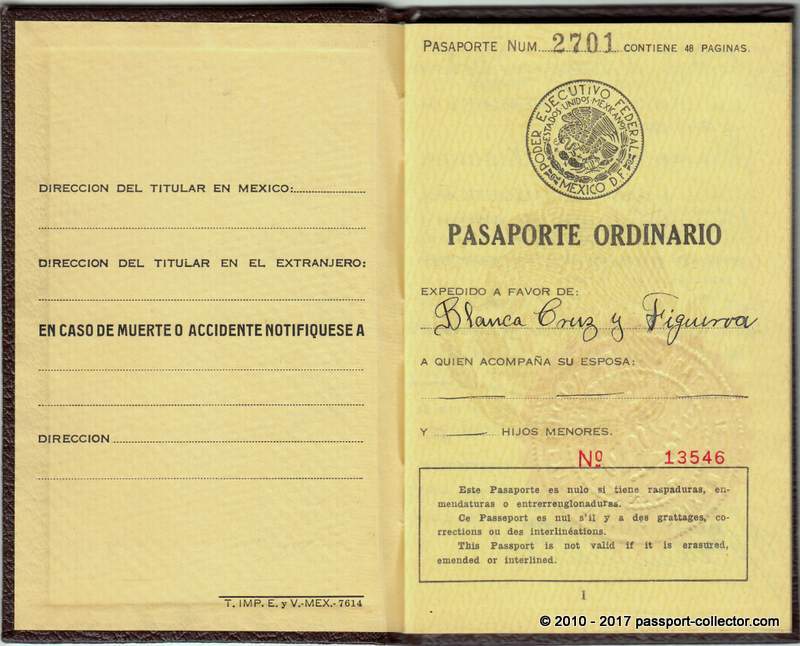 It was the first Mexican military unit trained for overseas combat.